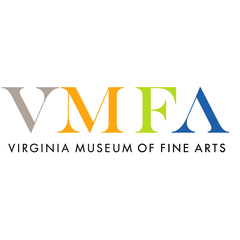 The Virginia Museum of Fine Arts ranks as one of the top ten comprehensive art museums in the nation. Its permanent collection has more than 35,000 works of art spanning 5,000 years of world history. Especially noteworthy are the museum’s holdings of Art Nouveau, Art Deco, and Modern and Contemporary art donated by Sydney and Frances Lewis; French Impressionist and Post-Impressionist art and British sporting art given by Mr. and Mrs. Paul Mellon; American art acquired through the J. Harwood and Louise B. Cochrane Fund; the Lillian Thomas Pratt Collection of Fabergé jeweled objects; and the Jerome and Rita Gans Collection of English Silver. The museum’s holdings of South Asian, Himalayan, and African art are among the finest in the nation. The recent addition of 73 major works donated by Jim and Fran McGlothlin delivers a collection of John Singer Sargent and Bellows in a significant manner. Located in Richmond, capital city of Virginia, VMFA is in the middle of the Fan District, so named because of the "fan" shape of the array of streets that extend west from downtown. The Fan is primarily a residential neighborhood consisting of beautiful late-nineteenth and early-twentieth century homes, as well as several parks, wide tree-lined avenues and three of the city's historical monuments. The physical appearance of the Fan District is frequently compared to that of the Bourbon Street neighborhood in New Orleans. VMFA is open 365 days a year, one of the few museums in the country to do so. General admission is always free with special exhibitions, programs and events offered at a nominal charge. There is a large parking deck as well as plenty of free street parking surrounding the museum. On premises you will find Amuse, the museum’s nationally recognized fine dining restaurant with a unique view of the grounds, as well as Best Café for casual fare. Dominion Jazz Café offers some of the area’s best jazz musicians every Thursday in Best Café 6–9 pm. And every Friday evening is Friday Art & Wine which includes discounted beverages and free 30-minute gallery tours every Friday 5–8:30 pm.